Interview with Christine Nelson, Health Education Specialist, UC Cooperative Extension San Luis Obispo County by Carolyn Eicher. So happy to interview you, Christine! Please tell us about yourself. describe my position as Health Education Specialist for the UC Cooperative Extension (UCCE). My name is Christine Nelson, and I have the privilege to work with my community at the grass-roots level to help form healthy communities as well as to better our local food system through extending research-based knowledge. Many of our programs tailor to the local needs of our community; for example, the renewal of our Master Food Preserver Program was established to educate local residents on safe home food preservation practices due to the high demand of county interest. (GleanSLO and the Food Bank were also an integral part to get this program revitalized.) We also provide nutrition education programs in schools through the Harvest of the Month program, where we work with local farmers to supply produce, so kids can taste seasonal fruits and vegetables. I can say without a doubt, that I truly love and enjoy my line of work – working with numerous community partners and dedicated volunteers, our programs continue to thrive with the help of these amazing people. What is your connection to GleanSLO and the Food Bank? 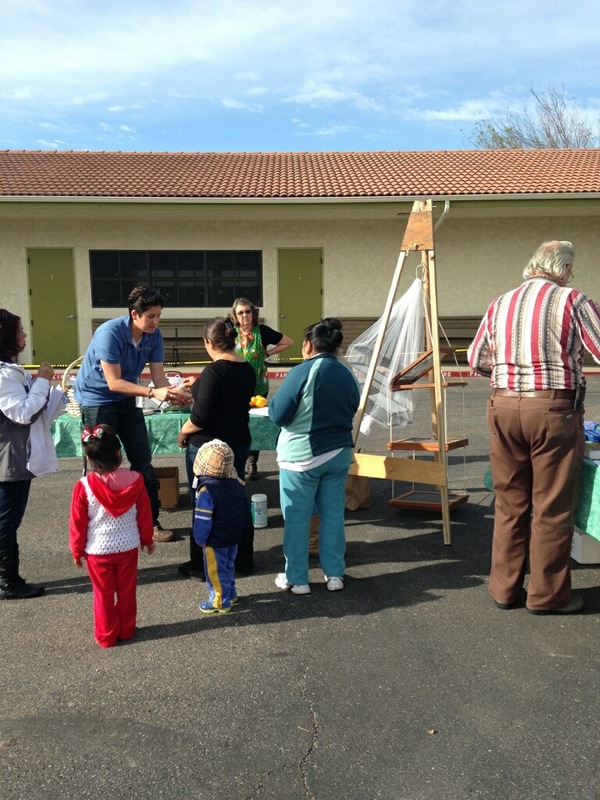 In 2013, we partnered with the Food Bank for a USDA Community Food Project Grant, which has resulted in a strong and devoted collaboration with GleanSLO. Together, we have been able to educate and inspire our community on ways they can preserve their rescued produce. I can still remember sitting down with Carolyn Eicher, former GleanSLO manager, in 2012 and brainstorming ideas of how GleanSLO and the UCCE could provide preservation classes to our SLO county community. We discussed the resurgence of food preservation occurring in our community and how the renewal of UCCE Master Food Preserver Program could play a vital role in reestablishing this lost art. Three years later, and with the tremendous help of GleanSLO and volunteers, our discussions and dreams have come alive. We have 13 certified Master Food Preservers (MFPs) for our county. 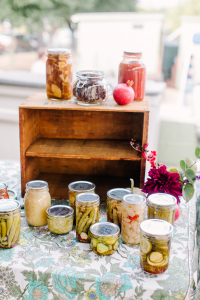 Over a two-year span, they have conducted 13 food bank preservation demonstrations to help recipients preserve their gleaned produce, as well as providing multiple preservation classes to the general public. For every food demonstration, GleanSLO supplies our produce, which enables our MFPs to use fresh and local produce for their demonstrations. It has been a joy to work with every GleanSLO team member to help our community utilize rescued produce in various ways, either by making strawberry jam or by freezing your citrus juice, to ultimately build a local sustainable food system. When did you first hear about GleanSLO? and what do you like about GleanSLO? The first time that I heard about GleanSLO was when I met Carolyn Eicher, months after starting with the UCCE. She was the one who educated me about this program and the future possibilities of collaboration, and we have been a collaborator ever since. I was captivated and in disbelief, when she shared about the thousands upon thousands of pounds of food wasted in our county, especially when we have hundreds of families suffering from hunger and food insecurity everyday. However, she then told me how GleanSLO salvages local fruits and vegetables, which then goes to feed those families. Again, I was gripped with this paradox and wanted myself and the UCCE to be a part of this amazing program. This conversation is what began the beautiful partnership between the UCCE and GleanSLO. If I had one word to sum-up GleanSLO, it would be “hope.” GleanSLO provides hope to the farmer, the families, and the community. They rescue food, give to families in need, which impacts the community as a whole. I absolutely love GleanSLO and the heart they have to truly serve our community – Thank You. Do you have any ideas for us about the future of GleanSLO and the vision for a healthy community? 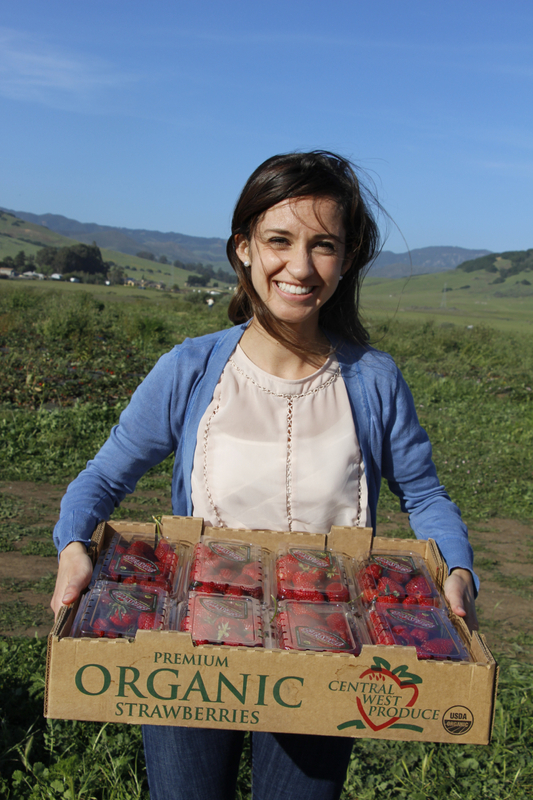 The opportunities for GleanSLO are endless. From seeing them grow over the years, their drive and purpose will only guide them to go further. Their impact is already evident within the community, and it will only continue to gain momentum as people become more aware of their services and want to become a part of this incredible movement to help build a healthy community. I would love to see more schools involved with GleanSLO. When children are provided hands-on experience, they are creating moments of learning that will forever be with them. It would be an amazing component of our Harvest of the Month program, if some of the kids were able to glean at the farm that was donating to their school, so they could see first hand their local food system at its best. I look forward to the years to come as our partnership continues to bloom as we strive to create a healthy community. This entry was posted in Farm Harvests, GleanSLO Interviews on 05/21/2015 by gleanslo.